Luxurious and elegant, the four-poster bed is one of those amazing furnishings that instantly lifts the aura of any bedroom. Starting its journey in Europe somewhere around the 1400s, the bed has been a symbol of affluence and royalty. With changing trends and times, the classic four-poster bed design has seen many twists and turns. 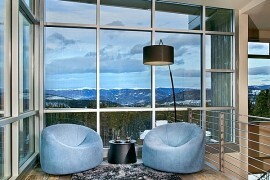 Yet, at its core, it remains the same extravagant and iconic furnishings that draws your attention almost instantly. Elaborate designs, exotic carvings, silk and satin fabric were once an integral part of the four-poster. But with contemporary design leaning towards minimalism, the excesses have been done away with. 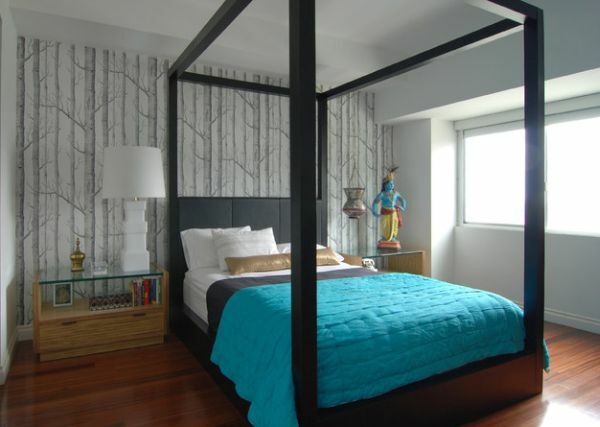 The four-poster is a perfect fit in the sleek and stylish modern homes as well. Distinct and dramatic, the bed is a must have for those who would like to add a touch of opulence and panache to their beautiful bedroom. 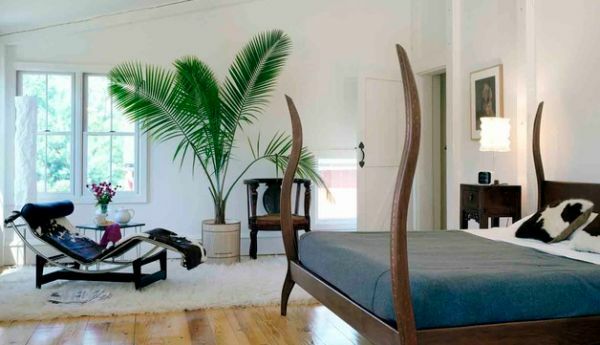 Curved mahogany bedposts clearly steal the show here! Four-poster bed with ultra thin posts! A Room within a Room! This is one of those wonderful architectural elements that the four-poster bed brings along with it. There was a time when the elaborate Elizabethan style ensured that there was a beautiful panel on the top along with four really ‘stand out’ posts on each end. But that has changed with time. 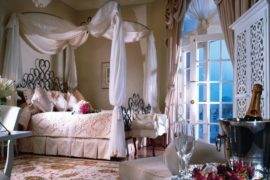 While the transformation of the four-poster into the canopy bed works, current design trend has ensured that the embellishments are often kept to a minimum. Despite this, the four-poster distinctly creates a private little niche within a room. 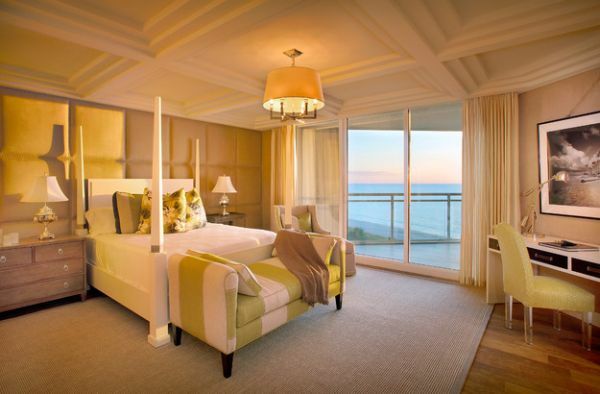 This style of design works amazingly well for large bedrooms. 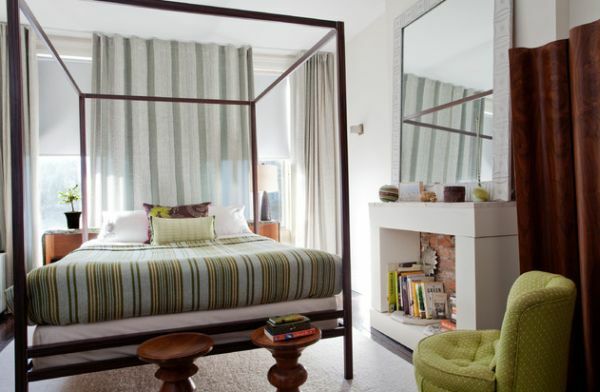 Yet, even smaller spaces can incorporate the bed with equal ease. 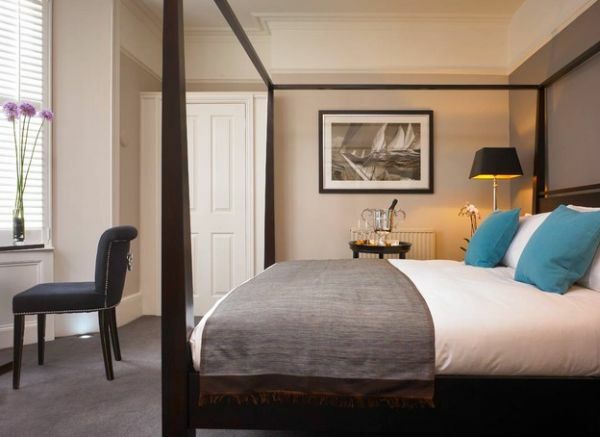 One of the popular misconceptions is that the four-poster comes only in the queen size. While a salesman might want you to believe that, smaller versions are easily available and look equally majestic! 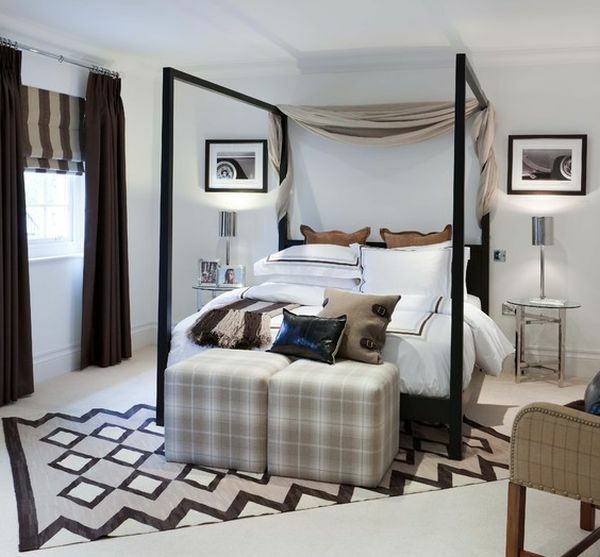 Gray bedroom with four poster bed exudes a distinctly masculine style! 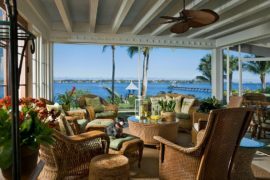 There is a reason why some of the top luxury resorts and exotic destinations across the globe use the four-poster for their best villas and suites. The bed is all about a sense of excitement and unrivaled comfort. The sheer visual of the four-poster draped in pristine white fabric and decorated with lovely throw pillows makes a room both elegant and ravishing. 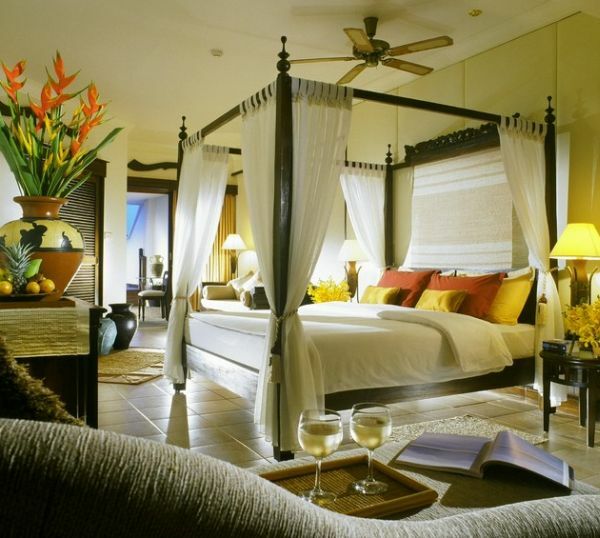 Dubbed as the bed of kings, the four-poster has always carried along with it this aura of prosperity. 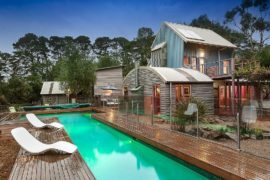 Though modern design and prices make it far more affordable and acceptable to everyone, it still carries along with it that hint of exclusivity. Plush headboards, upholstered footboards, a bench at the foot of the bed, beautiful ottomans and rich accessories help further drive home the magic of the four-poster. 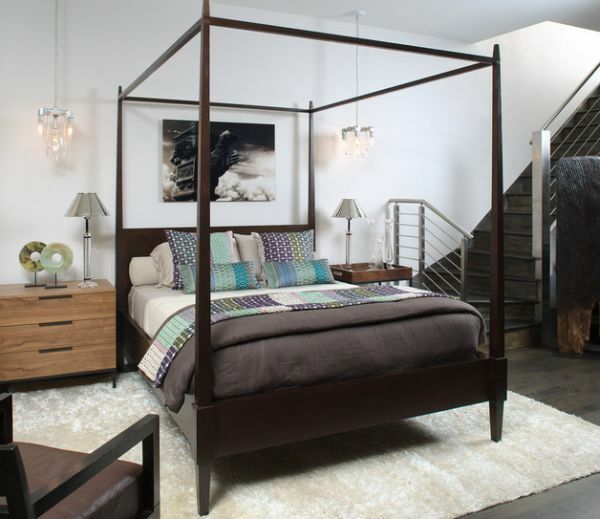 Many of the current designs do away with outer canopy rails and this further adds to the modern makeover of this classic bed. To say that the contemporary four-poster beds are a stripped down version of the original design would be a pretty fair analysis. The thick posts have been thinned down and crafted to meet the aesthetics of a current home. Clean and well defined lines are definitely taking over and the bed is moving in similar direction as well. Black four-posters are pretty popular currently for the bold visual contrast and element of surprise they bring in. 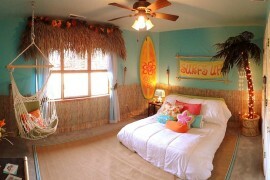 yet, always pick one of these depending on the theme of your room and the result you wish to achieve with the makeover. From Asian-themed bedrooms to semi-minimalist settings, the four-poster works like a charm pretty much anywhere and everywhere. 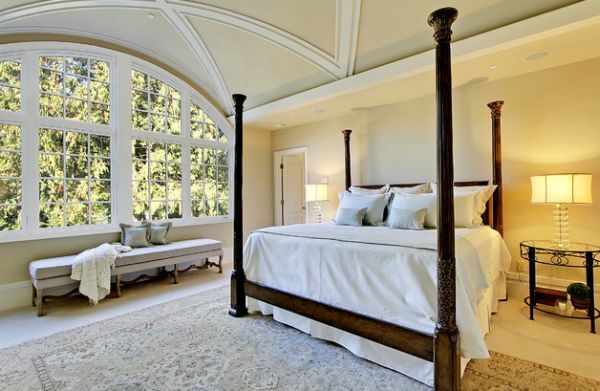 Tall ceilings offer a perfect heaven for this uniquely designed bed. Curvaceous at times and crisply contemporary on others, the four-poster ushers in flair and flamboyance every single time! 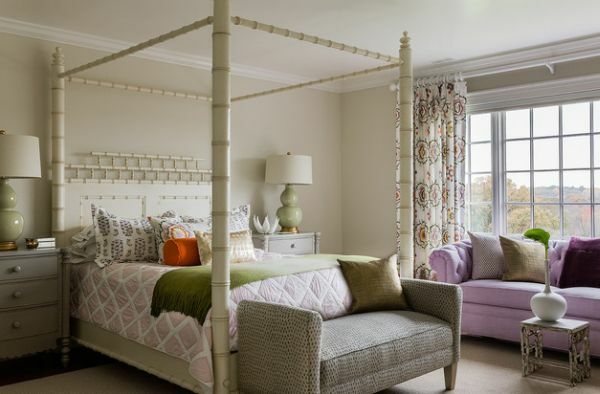 Blend of radiant colors and the four-poster come together perfectly!